It’s no secret that in today’s IT industry, Project Managers need to be faster, smarter and more flexible. As technology changes, you must also change with it. As a technology leader, finding great talent is a constant challenge, one that in most cases is essential to ensure the business has the right people to help them achieve their objectives. You’ve got your foot in the door and landed that coveted interview. However, when you’re so busy concentrating on the big day, it’s easy to forget about the important role that preparation plays in the build-up to your interview. Auckland IT Salaries: Top 5 Salaries for 2017 – What Does the Future Hold? Last year, we put out the inaugural Auckland IT Salaries Report, which took a look at tech sector salaries in the Auckland area. The RWA team is a great representation of the technology industry in New Zealand. Our employees come from a diverse range of countries (8 at the last count) and backgrounds. This blog is a platform for us to allow each RWA employee to share their own stories and industry insights. From sales events and Meetups through to personal pursuits, someone is always up to something interesting. It’s also our opportunity to acknowledge the outstanding achievements of our contractors. 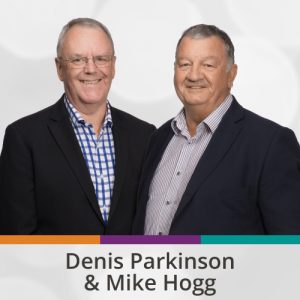 We’d like to announce that we’ve undergone a leadership change, with current Directors, Mike Hogg and Denis Parkinson, calling it a day and bringing an end to their long careers in the IT recruitment industry. 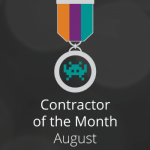 Congratulations to RWA’s Contractor of the Month of August, Rob Burton, Pictured below. Rob has a longstanding relationship with RWA and has worked on various assignments over the past few years. We’ve consistently had great feedback about Rob. Congratulations to our Contractor of the month for July, Dirk Wessels, pictured here receiving his award from RWA. Dirk has a longstanding relationship with RWA and has worked on various assignments for RWA over the past few years. We’ve consistently had great feedback about Dirk. 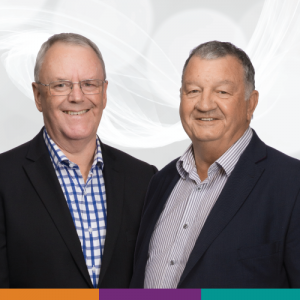 Techweek, New Zealand’s annual festival of IT innovation, kicks off tomorrow as part of a nine-day programme that brings our innovation stories into focus. With hundreds of events taking place up and down the country, there really is something for everyone from school students to CIOs. Congratulations to our Contractor of the Month for April, Farooq Awan, pictured here receiving his award from RWA’s Jessica Dong and Matthew Laurenson. In his time with us, we have found Farooq to be dependable, efficient and always punctual. He loves people, works hard and always tries to lift the spirits of those around him. © Copyright 2019 RWA Technology People Limited. All rights reserved.